In the 1st quarter of high school, how have you changed from middle school? What have you gotten better at? 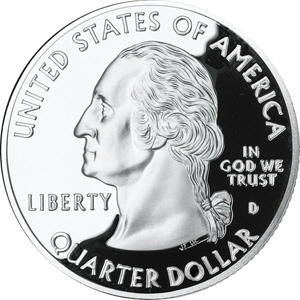 How have you CHANGED this QUARTER? Get it? GETTING ALONG WITH OTHERS FAST AND LONGER, TEST ARE EASIER WITH PAYING ATTENTION IN CLASS. I CHANGE ALOT WITH MY BEHAVIOR AND I HAVE INPROVE IN MY CLASES BEFORE I HAD ALL F’S AND NOW I HAVE GOOD GRADES. This first quarter compared to middle school I think I am doing better. I take things a little bit more seriously. I have gotten better at studying. I am more organized at home which helps me find certain stuff. Ive really havent changed nothing.ive gotten better at alot of things like my grades there way higher than what they use to and me coming to school as well. I have pay more attention in class. I have done more of my classwork.I have gotten better grades on my test. I have done a little more of my homework. I gotten good grades. SOME OF THE THINGS I HAVE CHANGED FROM MIDDLE SCHOOL FROM HIGH SCHOOL ARE THAT I HAVE GOTTEN MORE RESPOSIBLE ON HOMEWORK AND DECIPLINE. I feel that i have matured more than when i was in middle school and for some reason I dont see the need to sit in the house all day every day because i could be out doing something. In the first quater of high school I think that I did better than I did in middle school.In middle school I used to not turn in my homework.I didnt go to class all the time,and I used to get good grades.In high school I get goos grades do my homework and tryig to stay out of trouble. I have gotten better in my writting. Also in getting all my work turn in on time & finishing all my classwork. Another thing is not to be that lazy like i used to be before. I think im getting better with my anger problem. I had improve my work to do most of it. For this quarter i will try to improve everthing. don’t troing eniting to the school. my homework andmy test I duet beter. I good at all the thing i do and what i get on middle school. I THINK I’VE CALMED DOWN, MY ATTITUDE HAS CHANGED, BUT IT CAN BE BETTER. I have changed a lot since middle school. I have gotten better with the Math skills =D. I HAVE CHANGED IN ATTITUDE BECAUSE NOW I CAN MAKE FRIENDS EASIER, I AM MORE FRIENDLY.ALSO NOW I AM LESS SHY.BUT I STILL HAVE GOOD GRADES LIKE I DID IN M.S.I WILL ALSO KEEP GETTING GOOD GRADES. I DON’T THINK THAT I HAVE REALLY CHANGED A LOT SINCE MIDDLE SCHOOOL. BECAUSE I HAVE BEEN DOING MY WORK AND HAVE GOTTEN GOOD GRADES. I THINK THAT THE ONLY THING THAT I HAVE CHANGED IS COMING TO SCHOOL. I HAVE BEEN COMING TO SCHOOL MORE OFTEN. i change alot of things since middle school.i gotten better at everything but i need to improve on some things. I think the things that I have improved on are my grades and mainly, my attitude. since middle school ive definitely focused my attention on my work rather than playing around and not caring about what i did or what grade i got on it. ive gotten better at caring about my grades and the quality of my work. iVE CHANGED A LOT SiNCE MiDDLE SCHOOL LiKE MY WORK HABBiTS, AND MY ATTiTUDE WiT MY TEACHERS..
i think i havent change because im the same person as i was on middle school ..but im learning new stuff though……. I HAVE CHANGE ALOT SINCE MIDDLE SCHOOL BECAUSE I USE TO BE NICE BUT NOW IM MEAN AND NICE AT THE SAME TIME. ThE 0Nly ThiNg i hAVE ChANgE iS gEttiNg g00d gRAdES ANd d0iNg My h0MEW0Rk ANd My CLASSW0Rk. ¡I REALLY DID CHANGE ALOT…LIKE MY WHOLE LIFE THE WAY I FEEL AND EVRYTHING JUST IN GENERAL EVERYTHING…MY GRADES GOT BETTER TO…NOW IS NOW! I have gotten better at doing my work. I changed by going to class on time and getting both my homework & classwork. i have changed a lot from middle school. i have gotten a better grade in math & english. I have matured since middl school. I also have gotten better at school work. WELL ALL I CAN SAY IS THAT I DO ALL MY HOMEWORK NOW THAN WHAT I USED TO DO I’M NOT AS LAZY ANY MORE AND ALSO I LEARNED TO SPEAK MY MIND WHEN SO ONE OR SOMETHING IS DRIVIN ME CRAZY. I have gotten better in math,I would always get a D or a C but this year i got an A minus. Thats not half bad. In middle school I was always away from eveybody but know I have alot of friends to be there with me and to help eachother out. Well i have gotten smarter since Middle School….I have gotten better at history because i used to get a FAIL. i changed a lot because before i use to talk back to my teachers, get into trouble, and don’t do my homework. But today, i gotten better on my grades and behavior. I havent change am still getting bad grades and am not turining in my homework all the time. I have gotten better at algebra and english since middle school. im still the same as i was in middle school like trying To maKe up work after its due already but i Try t0 chanGe. I changed a lot since Middle school because in middle school,I was hanging around w/ a kid that got my grades down.Now, I have my grades higher than last year. I also plan to get them even higher this quarter. I THINK I HAVE GOTTEN WAY SMARTER NOW THEN I WAS IN MIDDLE SCHOOL. I THINK I CAN READ BETTER AS IN UNDERSTAND WHAT I AM READING. I CAN ALSO ANALYZE IDEAS AND THOUGHS BETTER. I HAVE CHANGED ALOT SINCE MIDDLE SCHOOL. I THINK THE SCHOOL.GOMPERS WAS A SCHOOL WERE THEY DIDNT CARE AND THIS SCHOOL SHOWS THAT THEY CARE.I THINK I GOT BETTER IN MATH BECAUSE AT FIRST I DIDNT CARE ABOUT THAT SUBJECT. i think i learned that i have to pick the best for me now i think i should stick wit ma self and things will go better for me in life i think i am getting older in life things are getting harder for me because i am becomeig a ting now so i have to grow up in just be me in life cuz if i dont i willend up some were i dont want to be so i just needed to better ma self from others out here in this cold world ……………………. well…i have changed alot my whole life has changed in my grades i got better and im way better at math now….i used to hate it because i didnt understand it…. but now i get it….my group of friends has changed alot too…but yeaqh im doing way better in math than i used to….oh and i also love all my teachers they are all supportive…i never really liked talking to teachers so that has changed too…. It harded in high school because their is more class to pass. WELL I THINK I GOT MUCH BETTER IN MATH BECAUSE IN MIDDLE SCHOOL I USE TO HAVE D OR F.. WELL RIGHT NOW I HAVE B THAT MUCH BETTER BESIDE FROM MIDDLE SCHOOL.. I THINK I LEARNED TO PICK UP THE BEST FRIEND FOR ME NOW…. i have matured a bit since middle school,but not enough.i have gotten better at getting my homework ddone and talking less in most of my classes. WHAT HAS CHANGE SINCE MIIDDLE SCHOOL IS THAT I HAVE GOTTEN BETTER AT MATH AND ON MY READING SCORES. I THINK I’VE CHANGED ALOT SPECIALLY ON MY WORK HABBITS I’VE IMPROVED THEM……. get at lest an b in one of my classes. I HAVE CHANGED BECAUSE LAST YEAR I GOT AN ‘C’ IN ENGLISH AND THIS YEAR I GOT ‘A’ SO FAR. Some things I have changed from middle school are that I have become more mature of myself. Also that I have improved on my grades. I have gotten better at computer things. Ihave change because when you make to high school you should preparing yourself to be a young men.You should work harder be prepared to go to college. I HAVE GOT EXTREMELY BORED AND I’M KINDIVE IMPROVING MY GRADES!!!!! Well yes i did improve alot because in middle school i was really bad not only in my behavior but in my grades. But now i doing much better on my behavior an d not really on my grades but better than middle school grades. Ive gotten better at doing my work. well i didnt changed at all i was better and middle school that i am now because i was very mature back then. then now!!! I HAVE CHANGE ALOT BECAUSE ON MIDDLE SCHOOL I USE TO HAVE BAD GRADES AND NOW IN HIGH SCHOOL I HAVE BAD GRADES TOO….BUT IN MIDDLE SCHOOL I USE TO FAIL ALL MY CLASSES BUT NOW I DONT JUST ONE CLASS IM FAILING….YAY!!! I have gotten better grades than middle school. I CHANGED BY NOT TALKING SO MUCH TO OTHER PEOPLE.I GOT BETTER GRADES SINCE MIDDLE SCHOOL.I HAD MATURE A BIT SINCE MIDDLE SCHOOL.I NOW DO MY WORK AND HOMEWORK. well to tell the true i did’nt use to care about my grades but now i do care about my grades……..? well wat im getting great at i think is in math cause in math i used to be bad and know i think im great……..
ive change just alittle bit from middle school.ive gotten taller and i think about more important stuff than stupid S***.ive gotten better at every subject. Some things that i have change from midlle school and its that im more mature on my self and my eduation.Im also taking it more seriously than before.Also im willing to do all i can to be on the road of success. well i change becuase i had nothing but fails on my last report card in middle school . I never used to care about my grades and then I also used to always ditch my math class and now that im in high school i care about my grades and I dont ditch any more. i think i got beter grades and im geting beter at science…..
What I changed was my grades,my work habits. I have changed because I am getting better grades than the ones I received in Middle School. I used to get D’s and C’s but now I am getting A’s. I have gotten better grades and tryed my best in class. I’ve changed my attitude, and my grades have also changed. I’ve gotten better at school. I begin to get good grades.Ive goten better in my writing. WEL TO TELL U THE TRUETH MY GRADES ARENT BETER THAN MIDDLE SCHOOL AND THE ONE THING THAT GOT BETER IS MY BEHAVEYER IT IS BETER THEN MIDDLE SCHOOL. i think i did better because i improve my grades now i am a ‘B’student. IVE changed in high school alot because in middle school i had bad grades and know i have better grades than before. I HAVE CHANGED BY ACTING MORE MATURE AND TAKING SCHOOL MORE SERIOUSLY THAN HOW I USED TO. I HAVE CHANGE IN THE WAY I THINK .I ALSO HAVE BEEN GETTING BETTER GRADES TRYING HARDER. I changed my grades,my actions, and do work not getting mad at a teacher.I changed everything cause I want to do better in high school then I did in middle school. FROM THE FIRST QUARTER OF MY HIGH SCHOOL GADE BASED ON MY MIDDLE SCHOOL GRADES, THEY HAVE CHANGED DRAMATICALLY.IN MIDDLE SCHOOL I HAD F’s AND D’s. IF I GOT LUCKY IN SOME CLASSES I SOMETIMES GOT C’s BUT NOT SO OFTEN. NOW THAT IM IN HOGHT SCHOOL I HAVE REACHED MY FULL POTENTIAL. I HAVE ALL A’s AND B’s AND SOME C’s . IVE GOTTEN BETTER IN PRACICALLY ALL THE SUJECTS IN SCHOOL, AND FOR THAT REASON I FEEL VERY PROUD OF MYSELF. i changed because in middle school i just didnt care.now i changed because i got good grades,good test scores,and not that many suspensions. I have really changed from middle school.My grades are much better. I HAVE NOTHING BUT A’z N B’z and thats just ’bout perfect. I passed all my midterms and in spanish i got 100% on it .my attitude has changed alot. i also dont hang around the wrong people any more .i am a leader not a follower an di now know what it feels like to be happy at school.